New from Shure. Digital Wireless Microphone Systems with handheld microphone, belt pack or both. We stock Shure ULXD wireless mics in two packs and four packs. 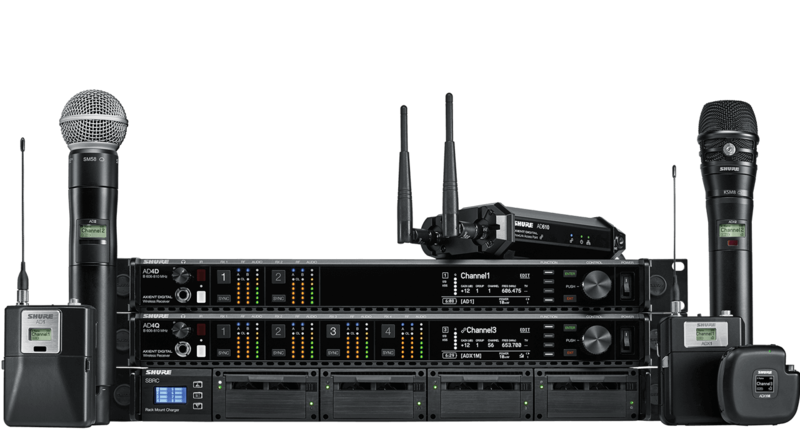 We also have six, eight, ten, twelve and sixteen pack wireless microphone systems. Our frequency bands are perfect for the Las Vegas metro area and many other parts of the country. AV Vegas specializes in all types of pro audio sound equipment rentals in Las Vegas.